It’s no secret that the fashion market as we know it is becoming saturated with high street retailers and it’s a trend that independent brands are quickly being swallowed by. Stunning styles were going unnoticed, amazing accessories went unworn and even killer heels were being left to gather dust in store rooms, overshadowed by the big brands and huge names we’re so used to seeing around as today – but things are starting to change. In fact, from as early as 2011, we saw Gaga open her arms to a student designer and the industry has been following suit ever since. 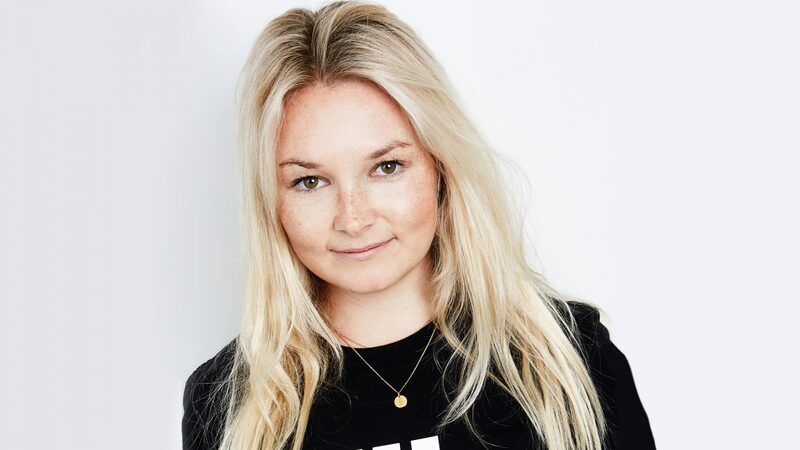 Emma Watkinson, Co-Founder of SilkFred, saw this emerging trend and gripped the opportunity with both hands, creating an online platform designed specifically for these unique designers. Run out of a desire to cut through the noise of online shopping and open up the world of independent fashion to consumers, SilkFred has come on incredible leaps and bounds ever since it first graced the world of ecommerce. 1. So, Silkfred Is A Platform Designed For Independent Fashion Retailers, But What Exactly Inspired You To Start Up This Kind Of Business? My friend (and now co-founder) Stephen asked for some advice on how to increase the sales of a fashion brand his friend had invested in. As I started to list out the different things the brand could do to grow, we quickly identified there was an opportunity to take all the independent brands to market by creating SilkFred. I felt there was a gap for boutique style brands at affordable prices, helping every day women like me discover exciting fashion that you couldn’t get on the high street. I also felt passionate about creating a business that put customers front and centre, engaging with customers every day, bringing those conversations to life and using those conversations to build an entirely customer centric brand. 2. What Was The Toughest Part About Growing The Brand? There have been many challenges along the way and I’m sure there will be many more in our future, however, I think the toughest part has been the continuous balancing act of running a business. You have many plates spinning at once with competing priorities and new opportunities presenting themselves every day. It’s mentally challenging to stay focused and have everything running smoothly. 3. How Would You Say Smaller Brands Are Influencing The Fashion Industry? They are influencing the industry by building real relationships with loyal customers. They are responding directly to what customers want and stripping away the layers in between themselves and the customer. Bigger brands aren’t in the best position to showcase their story or journey because they are well established with big teams. With some of the most successful smaller brands, it’s the designer or brand owner on the other end of the social media accounts. 4. Say Someone Was Just Getting Started With Silkfred – What Would You Say Is The Best Way To Get The True Silkfred Experience? First I would go to our “Most Loved” page – this will give you an instant flavour of the kind of outfits you can discover on SilkFred and what is currently trending with our customers. I would look at “What’s New” to see the latest styles from our brands who add lovely newness every day! From there I would go explore the different brands & categories e.g. dresses & jumpsuits and just have fun looking through all the unique styles of photography and reading about our brands and how they got started. 5. 2019 Is On Its Way, So How Do You See Silkfred Expanding In The New Year? Do You Have Any Plans For Growth? Yes absolutely! We have ambitious plans to continue along our fast growth trajectory as well as look at international expansion. 6. What’s The Best Advice Anyone Has Ever Given You? 7. Finally, Looking Back On How Far Silkfred Has Come, What Would You Tell Yourself Back When You Were Just Starting Out? It’s not about the most brilliant strategy it’s about not quitting when most people would. Resilience is more important that you currently know.